Please bear in mind that our company will shut down on the 15th December 2010. 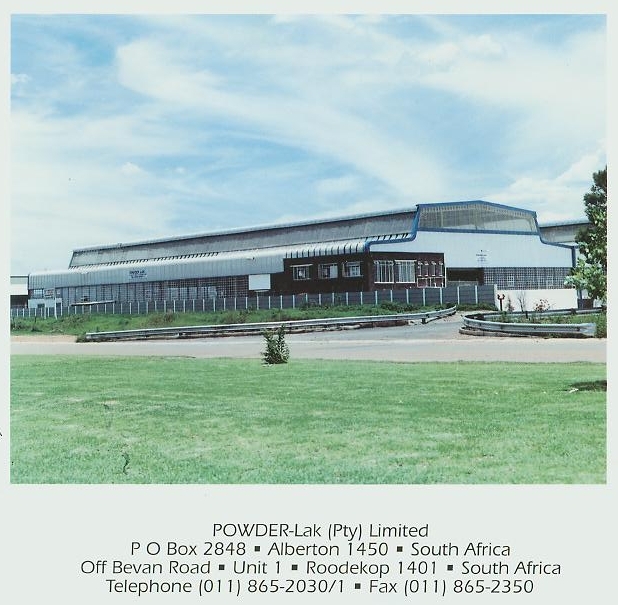 Powder-Lak (Pty) Ltd. will re-open its doors on the 10th January 2011, but until then please have a look at our new “Post 2010 Sale” specials. Until next year: Have a merry Christmas and a safe New Year! ask our sales team and/or one of our sales representatives for further information. We have also gotten with the times and made use of youtube. At the moment we have made available our old training videos in both Afrikaans & English. We regretfully must inform you that we will be raising our prices by 5% on the 1st May 2010. We considered raising them on the 1st of April, but nobody would have taken us seriously.